Include the % signs and everything. Then click OK. 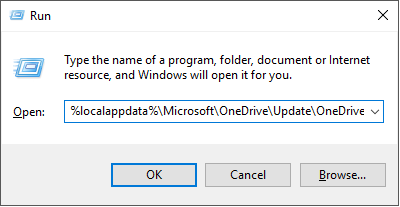 This will run the OneDrive setup and it will reinstall itself in less than a minute with no setup questions needed.